Fighting the People's War is an unprecedented, panoramic history of the 'citizen armies' of the United Kingdom, Australia, Canada, India, New Zealand and South Africa, who together made up the British and Commonwealth Armies in the Second World War. Drawing on new sources to reveal the true wartime experience of the ordinary rank and file, Jonathan Fennell fundamentally challenges our understanding of the war and of the relationship between conflict and socio-political change. He uncovers how fractures on the home front had profound implications for the performance of the British and Commonwealth Armies and he traces how soldiers' political beliefs, many of which emerged as a consequence of their combat experience, proved instrumental to the socio-political changes of the postwar era. 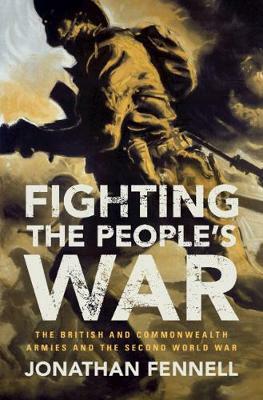 Fighting the People's War transforms our understanding of how the great battles were won and lost as well as how the postwar societies were forged.